How Nickel – MCX recommendation performed. 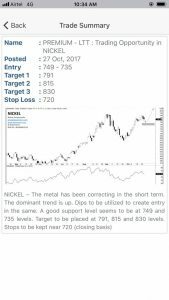 Nickel – MCX recommended to Premium members on the mobile application was hitting upper circuit in just 5 days. The metal Banged above the first target.